California State Parks are the place to go. California is full of state parks, something I did not know. 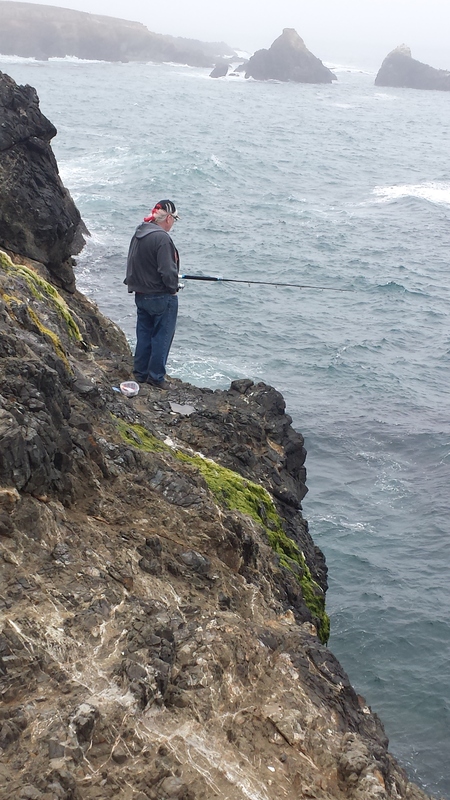 Between Mendocino and Ft. Bragg are a string of parks that provide access to the coast. Some charge $8.00 to park. If you park elsewhere and walk in there’s no charge, but sometimes there is no alternative. We’ve started looking for cars parked by the side of the road in random locations. This usually means there is a trail to the shore, through a park. We’re also considering purchasing a season pass for the state park system. Over 3 months, it would be worth it. I have to check tomorrow, but I believe it costs the same as a fishing license. We’ve spent two days exploring and fishing at one end of the park that surrounds our neighborhood. It doesn’t seem to have a name, and we could go back over and over, but there are so many parks……so little time. Birds, fish, wild flowers, beachcombing–I’m so busy! 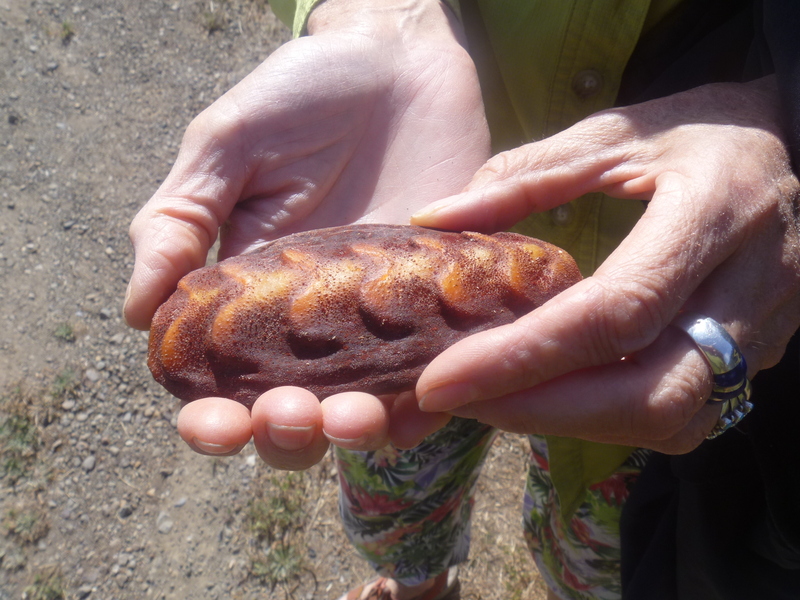 A chiton from the beach. Beautiful, but they’re a bit tough, like clam strips. 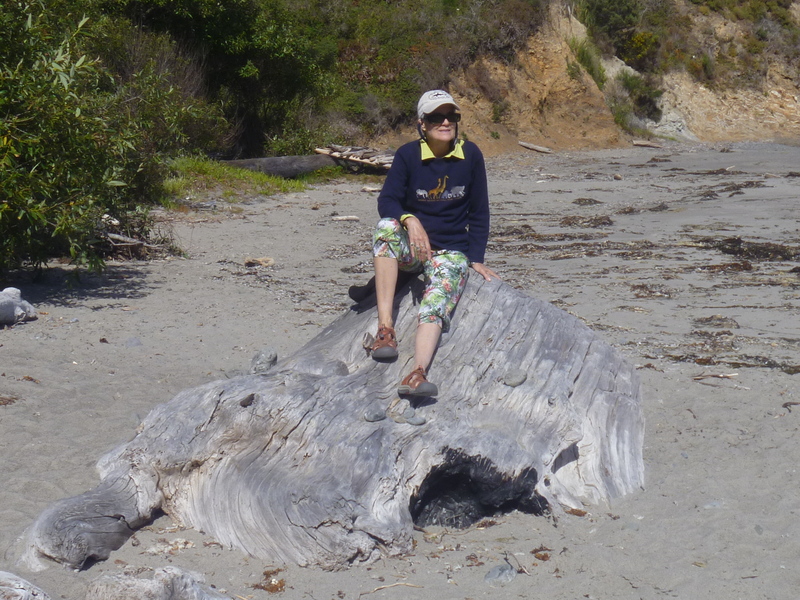 Massive driftwood. 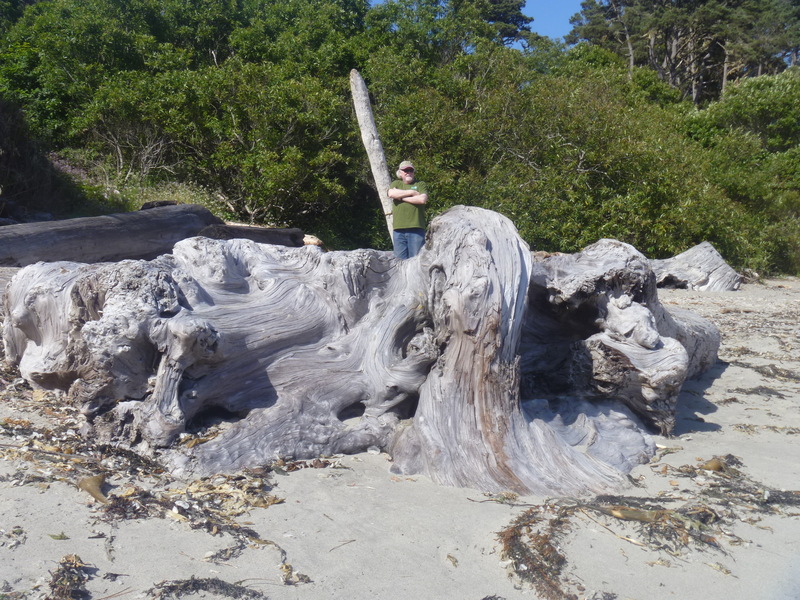 Can people take home driftwood from the beach if they can lift it?